It’s time again to cover what is going on in the safelist/viral mailer arena. And just like last month… nothing much is going on. It seems like it has been months since anything new launched that was worth talking about. Plenty of new mailers with new owners but nothing innovative that we haven’t see hundreds of times already. It could just be me. I guess I have been in a rut lately. 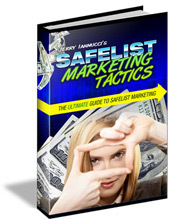 I’ve been trying to get my Safelist Marketing Tactics ebook updated for 2015. The goal was to have it done by today but obviously that hasn’t happened. I’m starting to think that writing a brand new ebook would be easier than going back and updating one I already wrote. Hopefully I can get myself back into a groove and get that done this month. I think that is something we could all use. These stats are the results of my own marketing efforts during the month of December. I am currently using 40-50 safelists to promote my own safelist Mister Safelist. I do have upgrades at most of these sites and I try to spend time every day clicking for credits to send my ads as often as possible to the most people I can. The stats are provided only to show what is currently working best for me for what I am promoting. Your results my vary. I don’t know what they are doing over there but it seems to be working, European Safelist was #1 last month too but not like this. 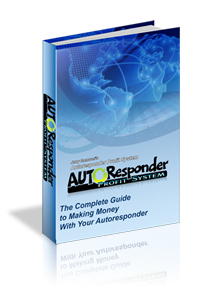 Just goes to show you don’t need to be using the latest mailers with the newest scripts to get great results. Where Are The JV Giveaway Updates? You may have noticed that it’s been about three weeks since I have posted a new JV giveaway update on my blog or via email. I was hoping nobody would notice but a few people have called me out on it. Here’s the deal… it’s a pain to update that list every week! Ok, so maybe i’m a wuss. It just got to the point where I would be out with my friends on Sunday night and in the back of my mind I am thinking I need to get home and update the giveaway list. Then I get home and i’m stuck compiling a list of events at two in the morning so I can send it out before I go to bed. The fact is that there are usually 5 or 6 new giveaway events announced every week but there are usually only 1 or 2 per month worth promoting. That’s not to say that the other events are not worth joining because they are free and they do still get me signups. It’s just a lot of work to do every week without much of a reward. I’m still updating the calendar inside my JV Giveaway Tactics website. That’s easy enough to do. I’m just not sure if it’s worth the time to do the weekly blog post and email updates. For example I just updated the calendar tonight. I added 7 new giveaway events. Of those 7, only 1 is really worth mentioning. That one is the Goodfellas JV Giveaway. That site is run on the latest giveaway script, has a unique domain name, and has all custom graphics. The other giveaways are all cookie-cutter designs that are hosted in folders with probably 20 other websites. Seriously, if you can’t afford $10 for a domain name how much faith am I going to put in you to be able to run a successful giveaway? So I want to hear what you guys think. I plan on keeping the calendar updated inside the JV Giveaway Tactics website. Would you prefer that I keep doing the emails and blog posts listing all the current giveaways? Or would you prefer just the occasionally announcement about new giveaways worth joining?